336 Himrod is embedded in one of Brooklyn’s most flourishing neighborhoods. With a rich history dating back to the Lenape people’s sale of the land to the Dutch, Bushwick has been a fertile ground for centuries for diversity and growth. Favored by Brooklyn’s artistic and ambitious, Bushwick provides authentically cultured cuisine, snazzy cafes with diversely sourced coffee, and local-loved bars with craft cocktails while constantly conceiving new art galleries, restaurants, venues, and yoga studios. As history has demonstrated, the potential for growth here is limitless. 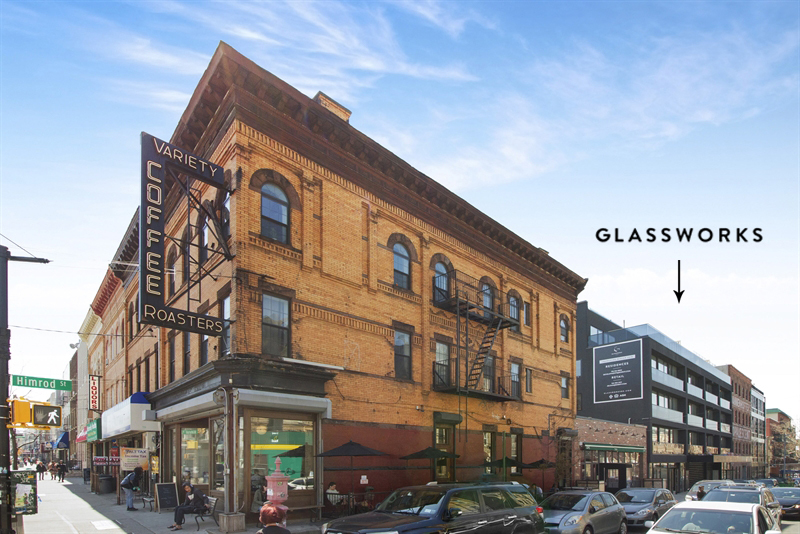 Glassworks is in process of curating a tenant mix for four commercial spaces that will complement our community.